Properties in Gibson Mill average 4.5 out of 5 stars. Character Cottage in Haworth. Come and Enjoy Yorkshire...Yours To Discover! Property 2: Character Cottage in Haworth. Come and Enjoy Yorkshire...Yours To Discover! The Retreat. A secluded place. Property 4: The Retreat. A secluded place. NUMBER 36 - Spacious Victorian house in Skipton. Central location. 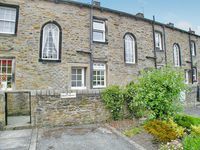 Property 7: NUMBER 36 - Spacious Victorian house in Skipton. Central location. Property 24: Brook Cottage Hellifield Skipton. Clean, a little dated but warm and comfortable. 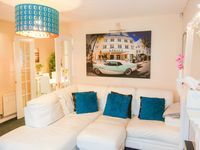 Great location 50 metres from the main street, 50 from one of the canals. Central for some great pubs with excellent food. Just check the Hoover power cord before you use it, on our visit it was damaged with exposed conductors. Skipton is a great base for the Dale's area, both Malham and Bolton Abbey a short drive away. Plenty of room for our family of 4. Nice and tidy. Garden was gorgeous. Had everything we needed.